A critic once said of my art that "it pays tribute to a beautiful world.” Those words humble me and perfectly describe the driving force behind my work. I have been an artist for longer than I can remember. I wrote and illustrated my first picture book at age 8. My father loved nothing better than standing knee deep, fly rod in hand, in a mountain stream. We camped and hiked from the North Woods to Colorado and those are some of my happiest memories. My mother was an oil painter and decorative artist and so both of my parents strongly influenced the path I chose in life. I live in Colorado where I find endless inspiration and feel most alive when I’m out in the backcountry observing some of the wildlife you see in my art. I’ve watched grizzlies feed on salmon and black bears court on a moonlit night. I’ve listened to the lonely howl of wolves and looked into a mountain lion’s eyes. These experiences and so many more are deeply etched into my psyche and fill me with awe and appreciation. I try to express the deep connection I feel towards animals and the raw, indescribable beauty of the natural world. Mine is not a naturalist’s realism but rather one of magic, joy, and wonder. It makes me so happy to be able to share my personal vision and hope it can resonate with some of you. 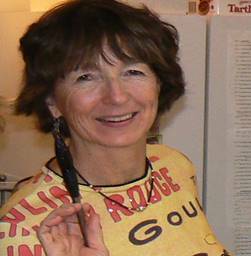 Harriet is most widely recognized for her vibrant, whimsical batik paintings. Batik is a century’s old textile process that has been practiced all over the world. Her batiks reflect a more contemporary and painterly approach both in style and theme. Her vibrant colors are applied with Japanese Sumi brushes. These translucent dyes merge and flow over one another in successive layers. Hot liquid wax is applied in between each layer of dye to build the detailed textures and patterns. Harriet continues to explore other art forms. More recently, her acrylic paintings incorporate the same intuitive sense of color and form as well as the joyous connection to wild places. 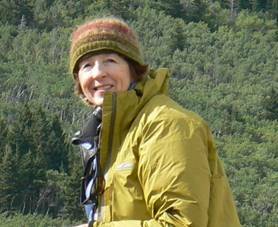 Harriet received her BFA in Fine Art from the University of Colorado. She has been a professional artist for all of her adult life. She is an award-winning author and illustrator of seven picture books for children. Her original art is in both private and public collections worldwide. Her work has been widely reviewed in print and news media and has been called “bold and stunning,” “fantastic,” “original,” and “heart-breakingly beautiful.” Her images have been reproduced on fine art prints, greeting cards, sportswear and home furnishings as well as designs for numerous national organizations.